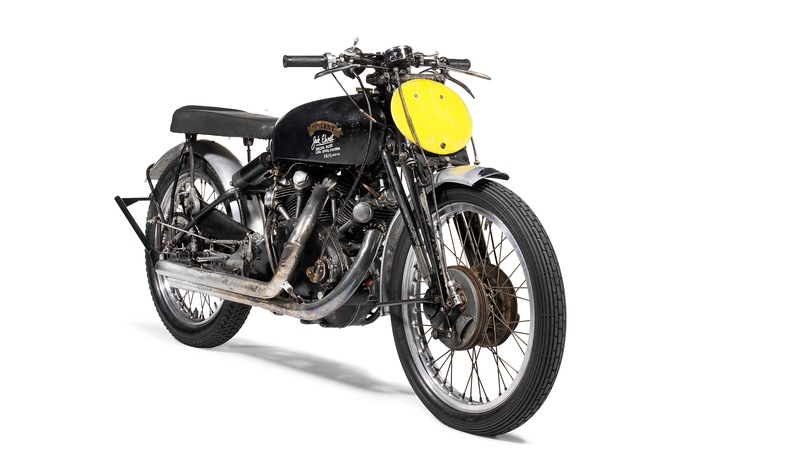 The 1951 Vincent Black Lightning owned and ridden to speed records by Australian Jack Ehret has been consigned for sale at Bonhams’ Las Vegas motorcycle auction, scheduled for January 25, 2018, at the Rio hotel and casino. Only about 30 Black Lightning bikes were built in Vincent’s Stevenage, England, plant. 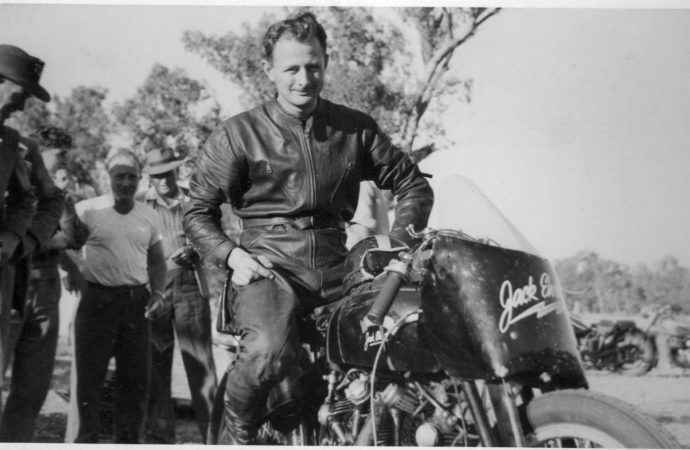 The most famous is the so-called Bathing Suit Bike, which Rollie Free rode in a prone position, and while wearing only swimming trunks, to an American speed record in 1948 on the Bonneville Salt Flats. The bike became famous as much for that photograph as for its accomplishment. 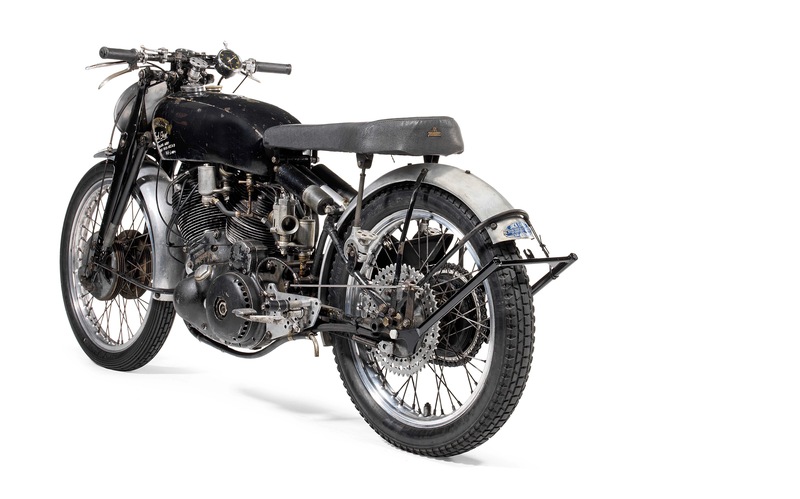 “After the ‘Bathing Suit Bike’ ridden by Free, the Ehret bike is likely the most important Black Lightning in existence and represents an exceptional opportunity to acquire one of the world’s most desirable machines,” Ben Walker, Bonhams head of motorcycling, said in a news release announcing the consignment. The Ehret Lightning, No. 7305, was ridden by Ehret to multiple race victories and the Australian speed record. The bike was special ordered by Australian Tony McAlpine. 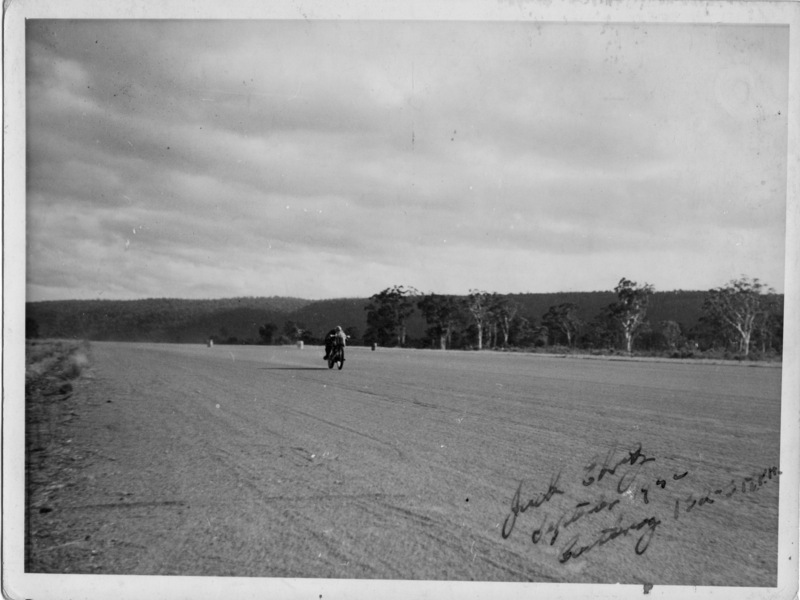 Upon completion, McAlpine and his bike raced against the well-known “Gunga Din” Vincent on an airfield, where McAlpine’s bike raced to a 30-yard lead. 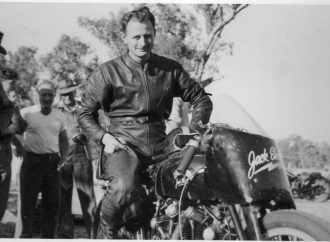 McAlpine sold the bike to Ehret, who in 1953 set an Australian speed record of 141.5 mph on a 2.25-mile straightaway on a road closed to traffic. 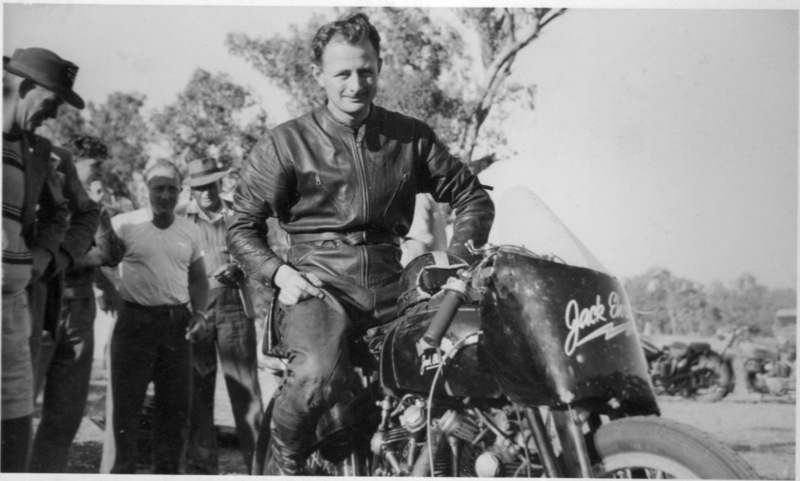 Ehret owned the motorcycle for nearly half a century. 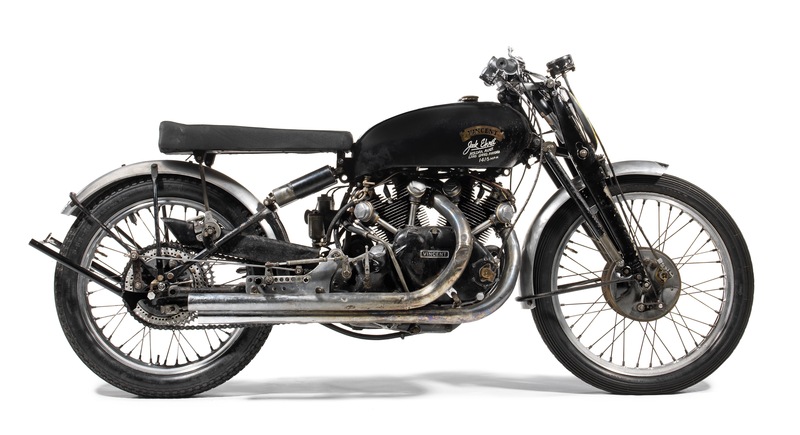 Bonhams reports that the motorcycle is in original, unrestored and running condition and that it will be the headliner for its annual auction in Las Vegas. I’d like to send some of your articles to my son, but there’s no E-mail icon to transport these stories. Don’t have facebook, twitter etc. Best thing to do would be to copy the URL of the story (the specs at the very top of your browser page) and paste that into an email.